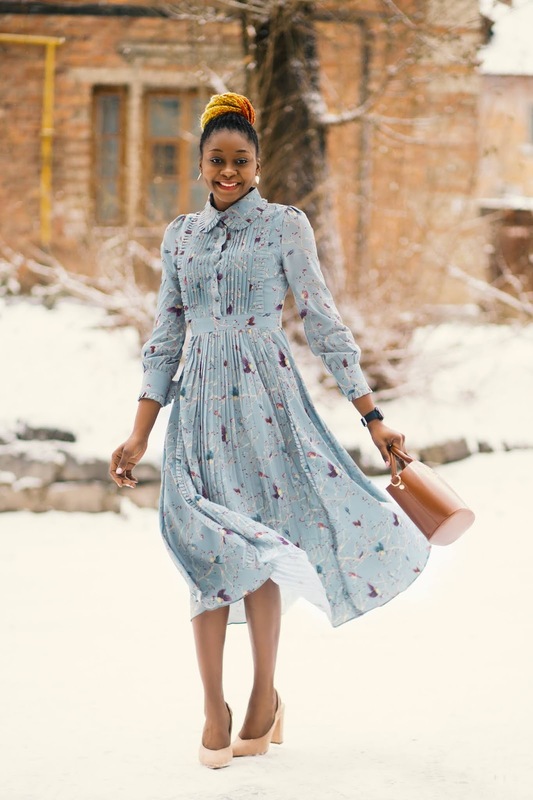 Jessica buurman got the everyday office dresses and party-ready bodycon styles that are perfect for transitioning from day to night. Mini's, midi's, maxi's, printed cami dresses. 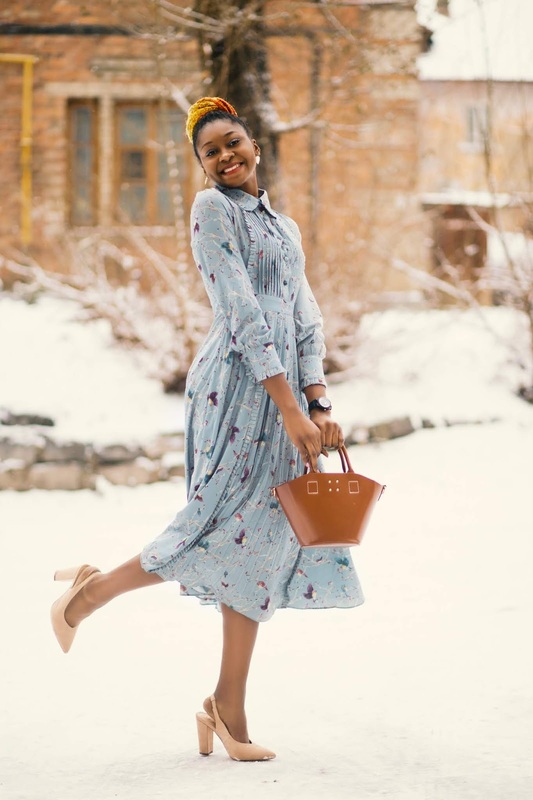 Midi dresses are my favorite, they are so cool and perfect for most occasion depending on the style. 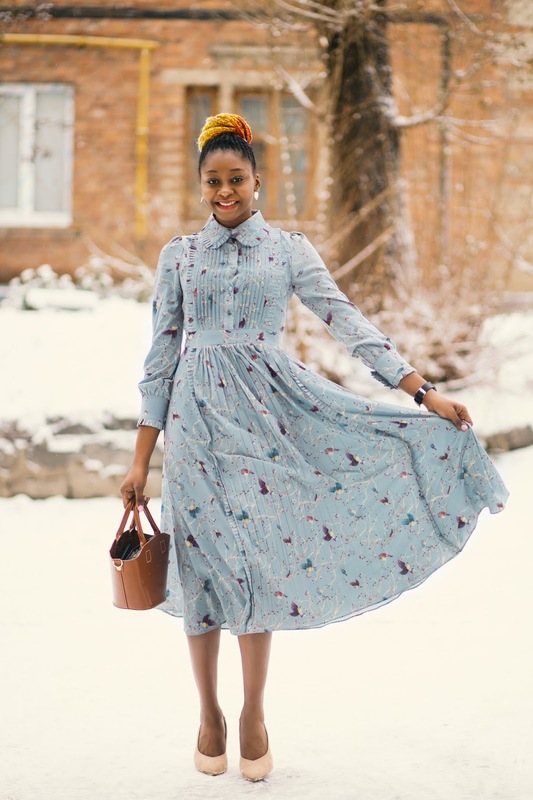 This dress is a perfect summer dress with a mixed floral print, fitted waist pleats on all over the skirt, circle style skirt, button up neck style with a collar and batwing style sleeves. Vintage clothing is a generic term for garments originating from a previous era. The phrase is also used in connection with a retail outlet, e.g. "vintage clothing store." 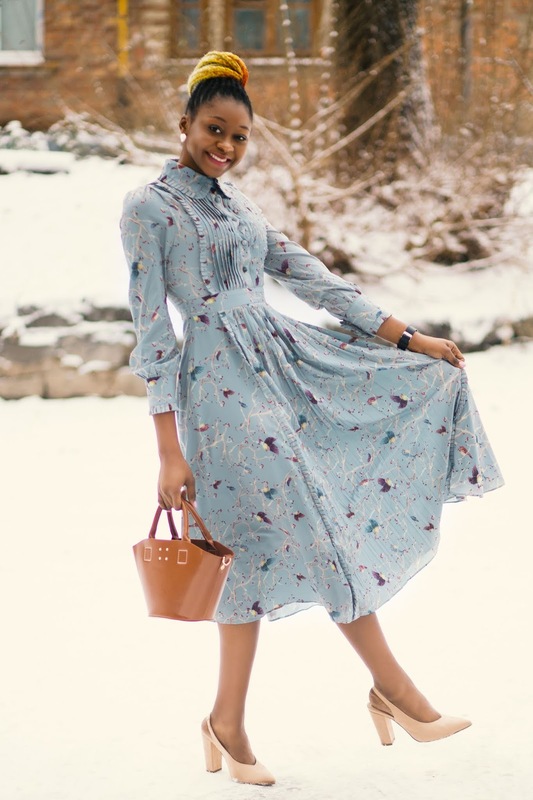 Today vintage dressing encompasses choosing accessories, mixing vintage garments with new, as well as creating an ensemble of various styles and periods.Vintage clothes typically sell at low prices for high end named brands. Read more here. Adoro questo dress!!! Ricco di particolari, la tonalità è tenue e delicata ed anche la fantasia mi piace molto. I love how flowy this dress looks. You look so cute!! Thank you dear, same here. Girl, I was forced to take the photos outside. It is so crazy. I hate the cold. I don't like such rough play. You are having the best weather at the moment Mica. Thanks for stopping by. That dress is so beautiful! I love the delicate style and print. Que preciosidad de vestido!!! El color, el estampado y la forma sobretodo es precioso!!!! Te sienta genial Melody!!! Estás muy guapa!! You look adorable in this Melody!! What a darling dress and you look so cute in it! And I love your snowflakes drifting down the page - that's a cool effect! Thank you so much ruth. The snow flakes can be added to any blog or website. Oooo I really like this dress. And this color looks great on you. I like the dropped hemline and the ruffle details. Nice! Thank you, same here darling. You look very nice in that dress.. This dress is gorgeous! I love it so so much!